As the California gold rush died down, and the prospectors headed back east with their heads hanging low, rumors persisted of untold wealth of gold in the Rocky Mountains. A few of the traveling parties stopped on their way through, panning areas around the South Platte River, and Cherry Creek, but little was found. However, persistence paid off for one man, William Greeneberry Russell. William had gold in his blood. When he was just a boy at 10 years of age, his father packed up the family and moved them from South Carolina to Georgia for the Georgia Gold Rush. Growing up in a mining town, William often heard the stories of wealth of gold on the west coast and eventually formed a team to try and capture some of that wealth. Part of William’s team was a group of Cherokee, and while his success in California did not lead to untold wealth, he did become close to the Cherokee tribe which led him to the Territory of Colorado, chasing another story of wealth in the hills. Making their way to what is now Confluence Park, Denver, Russell’s team panned for almost a month without success. Most of the team gave up, but William and his brothers persisted, and just a few weeks later, they discovered gold. As news of the discovery got out, the Pikes Peak Gold rush started, and soon an estimated 100000 people, in search of their fortune were working the rivers and streams of this soon-to-be state. But not everyone came to find their fortunes in gold. In November 1859, two German born immigrants, Fred Z. Salomon and Charles Tascher, saw an opportunity, and with that vision the first brewery in Colorado, the Rocky Mountain Brewery, was born. While the partnership of Salomon and Tascher quickly fizzled, the Rocky Mountain Brewery endured until 1898, making it the longest running brewery in Gilpin County. A combination of dwindling gold and the onset of prohibition put a damper on the brewing industry in Colorado for some time, but it wouldn’t stay down for long. After prohibition, the big brewers, including one in Colorado, gobbled up the smaller brewers across the country, where they all started to produce a bland, boring product. Feed up with the industry, a few intrepid individuals started experimenting with brewing on their own, looking to bring back the variety and flavor to beer. One of those individuals was Charlie Papazian. After honing his brewing skills while in college, Charlie started to teach the craft to others in Boulder and from this, the American Homebrewers Association was born. The combination this association and the passing of homebrewing legislation by President Carter, quickly opened opportunities, and in 1979, the Boulder Beer Company introduced commercially brewed craft beer to the state of Colorado. 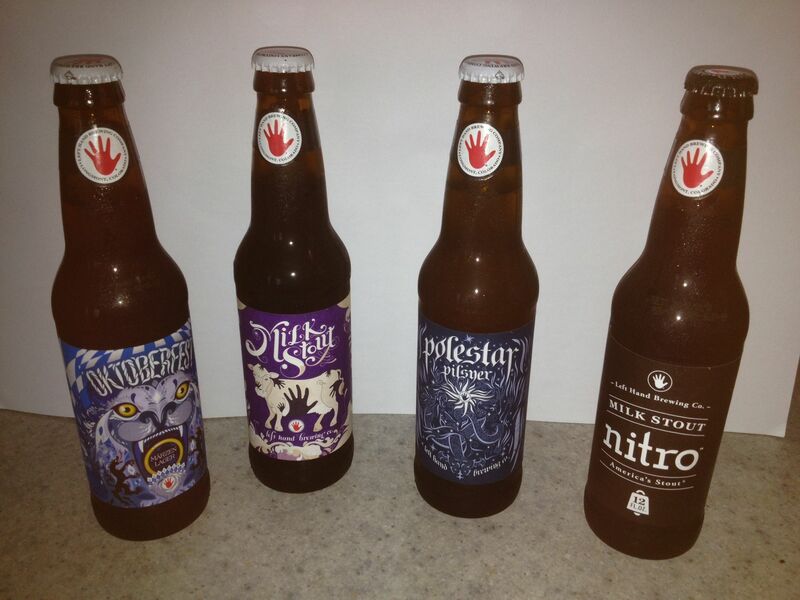 While the options for craft beer from Colorado are great, this week, for no particular reason, we stuck with a selection from Left Hand Brewing, and we enjoyed it. 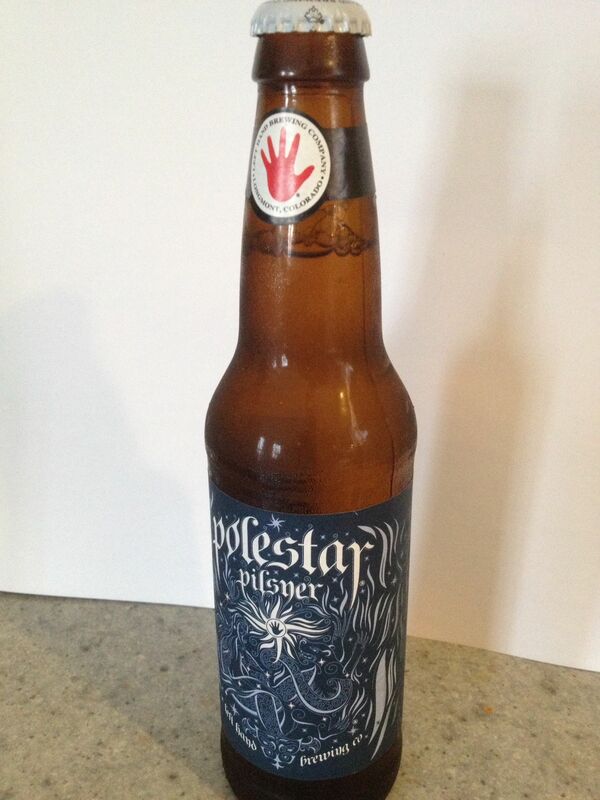 We started the evening out with a Pilsner called Polestar. This beer, light in both color and body, was very drinkable. This wasn’t a beer you were going to run to for crazy flavors, but if you wanted to enjoy 1, 2 or more, this is your beer. After the Pils, we opened a bottle of Oktoberfest. This beer was not like the Octoberfest brews I am used to having. This beer had the expected nice, red hue but the smell was different. This one was sweet, and there wasn’t much of a flavor. It was there, but not bold and strong like others. It was a good beer, but it really messed with our expectations of an Octoberfest. Our next beer was a Milk Stout. This aroma of this beer was chocolate and malt, and it had a real smokey flavor. I really enjoyed this beer. It was, like the Octoberfest, different than what I expected from Milk Stout. In the end, 2 out of the 4 people liked this beer. Our final beer of the evening was another Milk Stout. 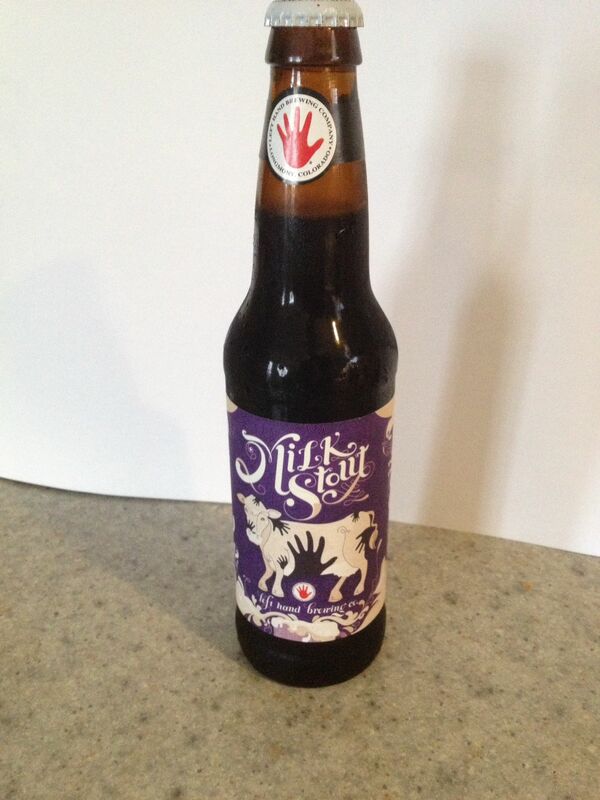 This one was the exact same brew as the previous beer, but this one used Nitrogen and is called Milk Stout Nitro. I found this beer very drinkable. It reminded of a Guinness in its smoothness, but this one had more flavor. Even though this was the same beer as the previous one, that taste was completely different. Along with the smoother mouthfeel, from the nitrogen, this one didn’t give off as much as a smoke flavor. Overall it was a great beer. This week, Left Hand did not disappoint. We really enjoyed our Colorado experience. Next week, we venture northward to the state of North Dakota.